The American Creswick is lucky enough to be able to tailor special events to meet the needs and desires of our patrons. Whether it be a small informal gathering for drinks or a formal sit down function, the American team are able to work with our patrons in designing a menu to please both your senses and your budget. The American has a beautiful cafe area, which is bright and sunny during the day or romantic and beautifully lit at night time. Our and wine bar can accommodate up to 50 people comfortably, and has plenty of seating and tables so that your guests are able to relax and enjoy your special event. Our Chefs and Event Planner are able to work with you in designing a menu to suit your needs and budget. 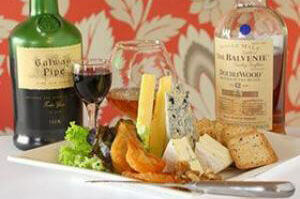 We have a wide range of share platters to select from as well as a wine list that is well ranged in variety and price. We can also help you organize a cake, balloons or decorations that will make your event just that little bit more special. If your event requires a sit down dinner, The American would love to accommodate you and your guests. Whether it is a special birthday, corporate event, casual breakfast, or launch etc. The American is here to work with you in making your set-menu one to remember. Our existing menu is able to be tailored to a set menu, or chat to our team about what you have in mind- it is your event after all.